Morgan Huntley is a self-described former marina rat from New York with a passion for boats. The confident 31-year-old believes he will find success — even in shaky economic times — with his Vanquish Boats, which builds a 24-footer (25 feet, 8 inches LOA) in two versions. “Boatbuilding is what I do and what I love. I don’t know how to do anything else, and I’m not going to stop, even if persistently high unemployment tells me to,” says Huntley. 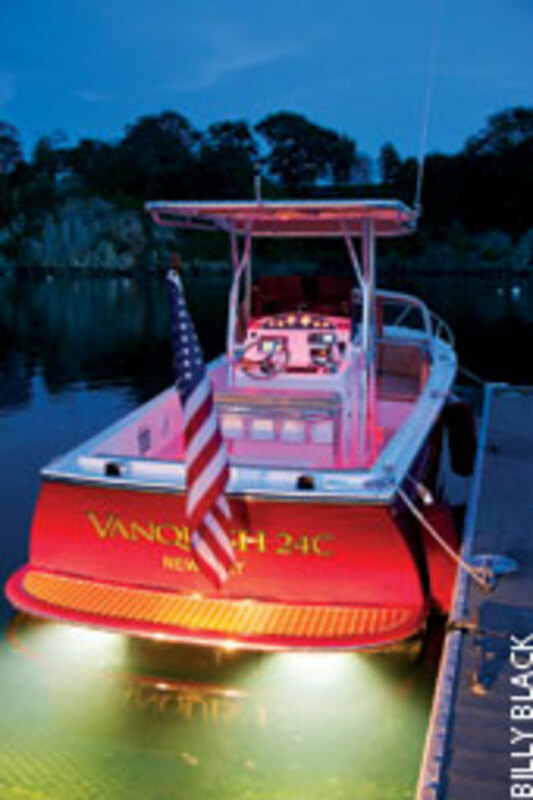 Vanquish Boats began as Vanguard Powerboats in 2003 on the St. Lawrence River in upstate New York, launched by a builder inspired by classic Northeast lake runabouts. He closed shop in 2008. With private backing, Huntley purchased the tooling in March 2010. 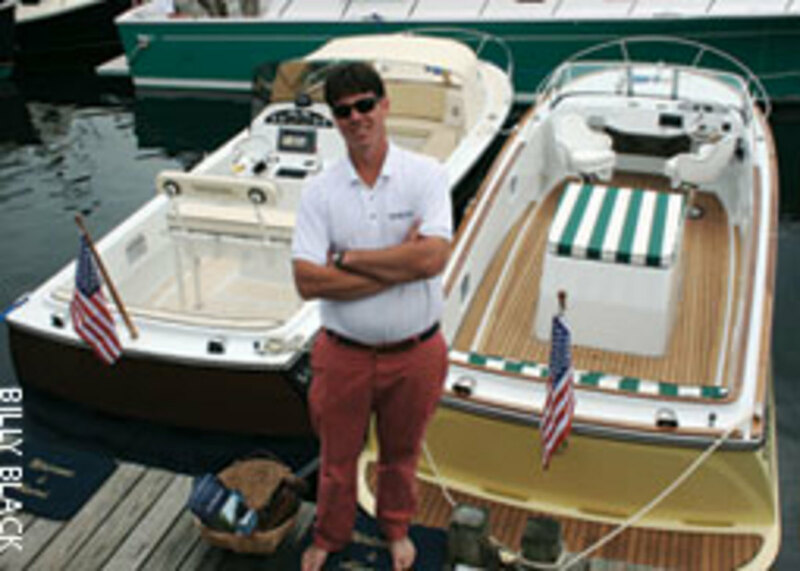 He set up Vanquish’s office in the Newport (R.I.) Shipyard and production in a marine complex he calls “Fiberglass Alley” on Broadcommon Road in neighboring Bristol, R.I.
Zurn says the boat was a departure of sorts for his design firm and became his modern interpretation of the Lyman runabouts he grew up with on Lake Erie. “We designed the bottom and chine with more thought given to how to make a boat run dry and not pound,” Zurn says, adding that the finished hull he test-drove handled beyond his expectations. 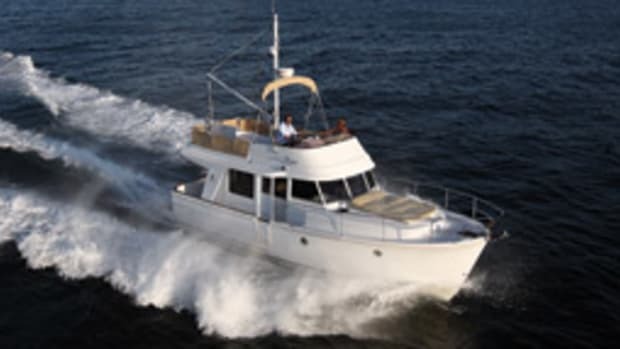 Huntley also grew up with runabouts, though on Long Island Sound. “My parents were avid water skiers and they would drop me in the boat after work before I was even able to walk,” he says. The affinity for boats that his parents passed on to him remains. “Eight out of the last 10 years I have lived aboard,” he says, now with his wife, Jen, aboard his 1985 43 Pearson trawler, Madison. 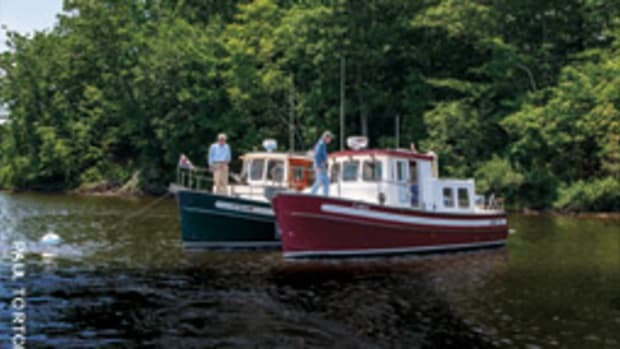 Huntley cut his teeth as a youth at Long Island, N.Y., boatyards, followed by a year at The Landing School in Arundel, Maine, and two years at the International Yacht Restoration School in Newport, where he graduated from the marine systems course. He then worked at The Hinckley Co. and go-fast builder Outer Limits. At Outer Limits, he learned the value of creating a brand and the importance of nurturing that brand. 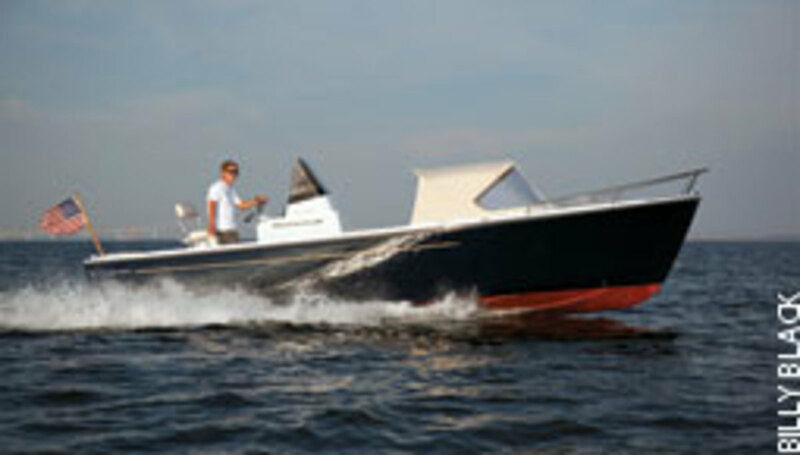 He also saw firsthand how a well-run shop could efficiently turn out quality semicustom boats. “They were both very different experiences but both very rewarding experiences,” Huntley says. 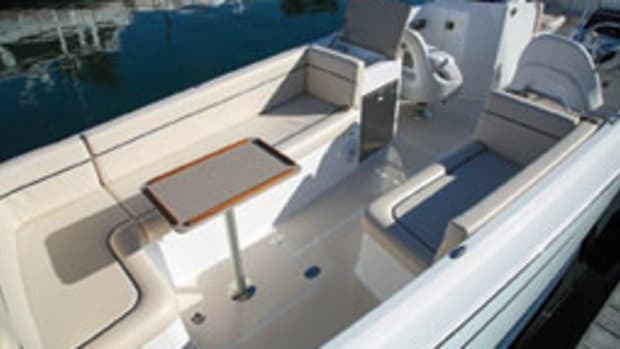 Huntley offers his Vanquish boats in runabout and center console configurations. 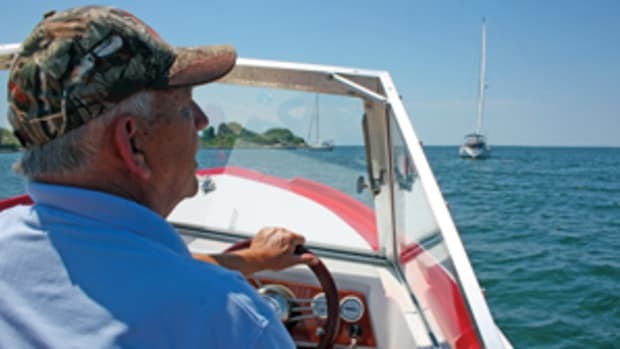 The forward location of the helm on the runabout results in a large cockpit, and the stainless-trimmed windshield adds to its vintage appeal. Prices start at $120,000. 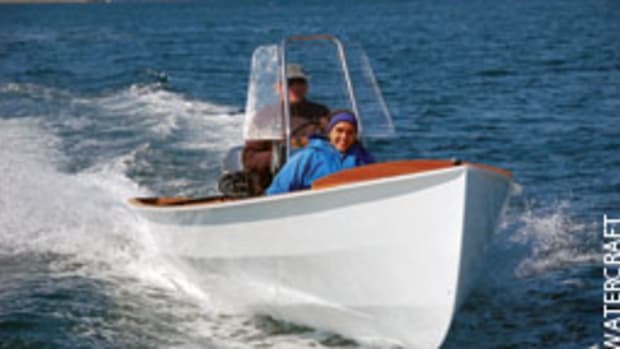 “I think I have a great boat here. Nobody is building anything like this at this price point,” he says. 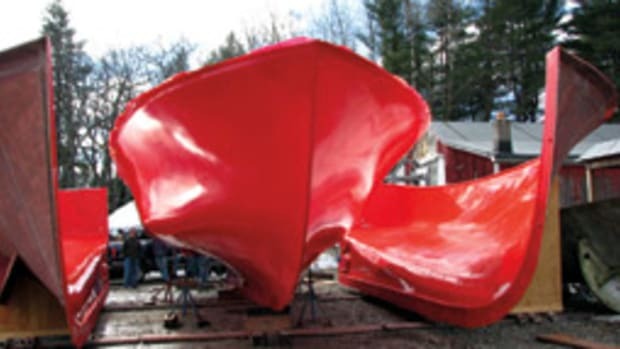 The 3/4-inch-thick hulls are built by International Marine Repair of hand-laid fiberglass with vinylester resins and a vacuum-bagged closed-cell foam core. The boats displace 4,500 pounds and, thanks in part to a prop pocket, draw 19 inches. Beam is 8 feet, and LOA is 25 feet, 8 inches. 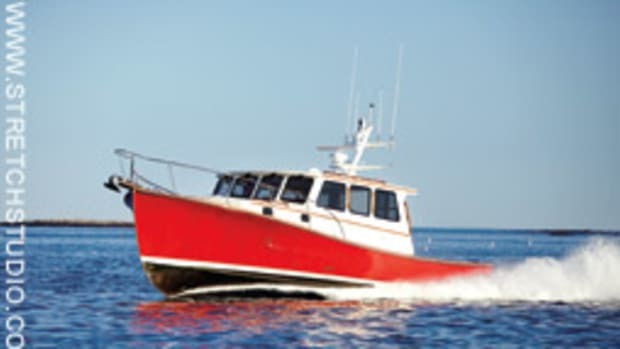 Standard power is a Crusader 5.7 HO MPI 330-hp gas inboard, with options for a 375-hp Crusader, Yanmar 6BY2-260 diesel and Hamilton jetdrive. 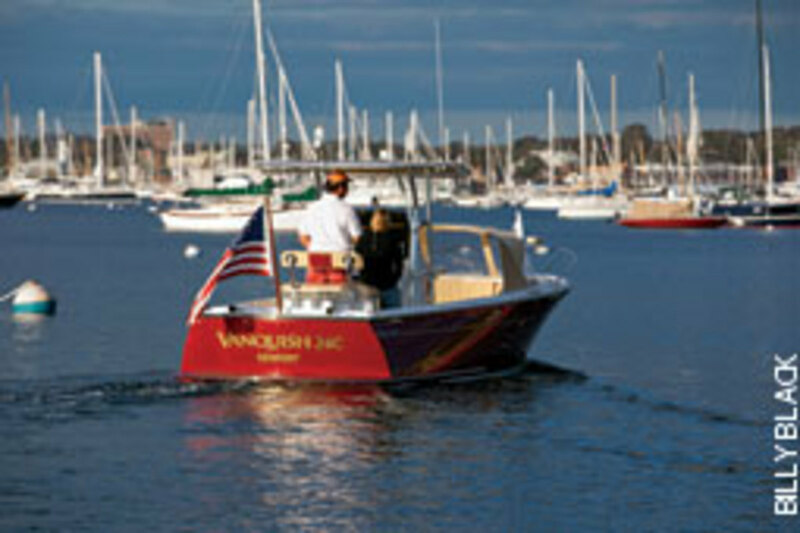 Cruise speed is 32 mph, topping out at 38 mph, with standard power. 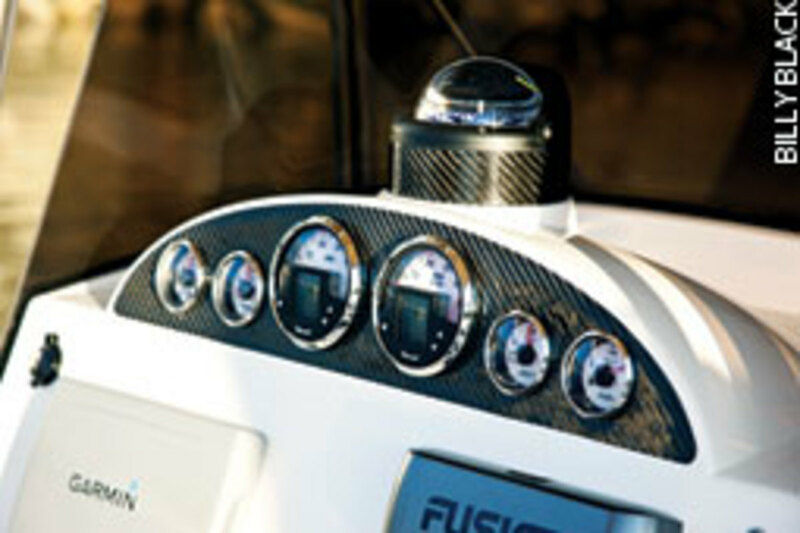 Vanquish has built six boats so far — yellow runabouts and blue center consoles — and had sold two by the end of the summer. 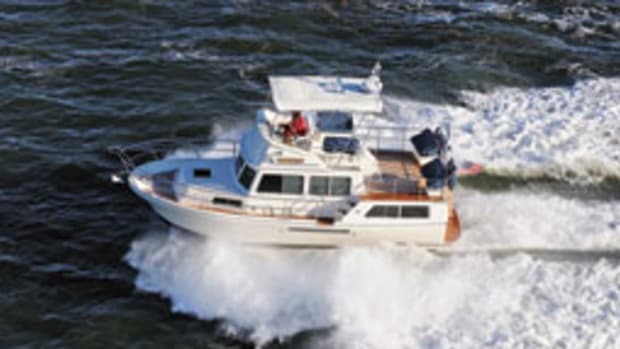 “It’s a production build with custom options,” Huntley says, noting the optional teak decks, mahogany trim, dodger (center console), Bimini (runabout), bow thruster, and propulsion and electronics choices. For a customer in Newport, the company removed the port captain’s chair and replaced it with L-shaped seating forward that houses a head, wet bar, trash receptacle and room for a Norcold mini-fridge. The new layout accommodates six adults. Huntley recently hired Chris Lufkin as vice president of sales to handle factory-direct orders and build a dealer network, initially focusing on the New York/New England and Great Lakes areas.